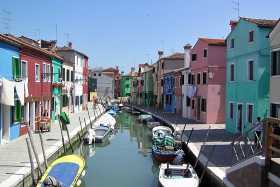 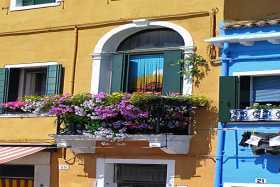 Burano is a small island in the lagoon to the north of Venice, famous for its lace and brightly painted houses. 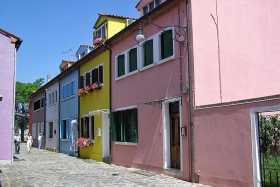 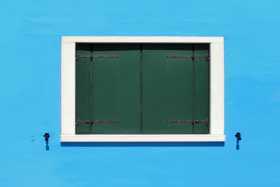 A visit to the island of Burano is a chance to enjoy not only this colourful place but also a tour of the extensive Venetian lagoon. 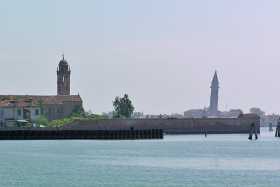 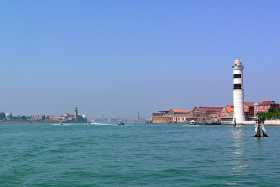 It's possible to see a large section of the northern lagoon via various routes on the public ferries.